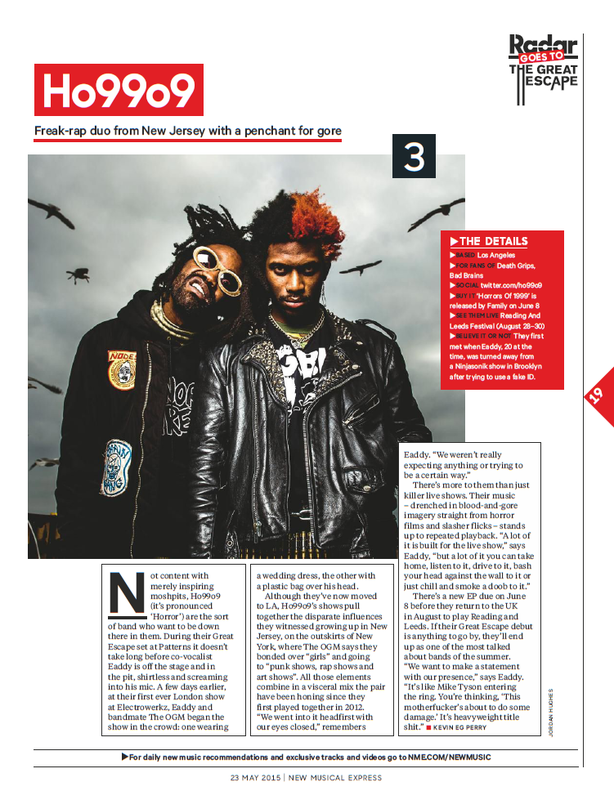 Not content with merely inspiring mosh pits, Ho99o9 (it’s pronounced ‘Horror’) are the sort of band who want to be down there in them. During their Great Escape set at Patterns it doesn’t take long before co-vocalist Eaddy is off the stage and in the pit, shirtless and screamin into his mic. A few days earlier, at their first ever London show at Electrowerkz, Eaddy and bandmate The OGM had begun the show in the crowd: one wearing a wedding dress, the other with a plastic bag over his head.